Remain the workhorse solutions for global supply-chain and back-office printing applications because of their reliability and low total cost of ownership. Available in US, Canada, Europe, Middle East and Africa. Leasing Available from $15.89 per month! Leasing Available from $17.44 per month! Leasing Available from $21.16 per month! Leasing Available from $23.30 per month! Leasing Available from $29.64 per month! Leasing Available from $34.52 per month! * Printer or field option kit installation is discounted only when ordered on the same p.o. as printer or field option kit. 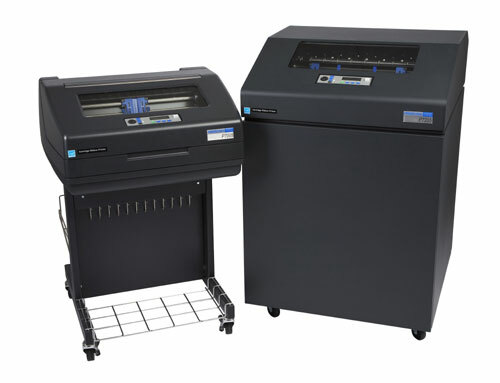 Special pricing is available for multiple unit installs of 5 or more printers or field kits. * Certified for use only in the United States, Canada and the European Union. Notes: 1. All CT software includes protocol converter feature 2. Reserved 3. See Professional Services for Advanced PrintNet Enterprise & Networking Training 4. See Professional Services for Wireless Printer Installation with PrintNet Enterprise Overview 5. Cannot be ordered with SureStak 6. Includes PrintNet Enterprise remote management software 7. Will not work with P7220 or any ZT models 8. Reserved 9. Accoustic shroud and high rear tray cannot be combined 10. Cannot be combined with power stacker or rear cabinet pull out tray 11. Order one door for support of forms up to 14 inches. Order two doors for support of forms up to 17 inches.